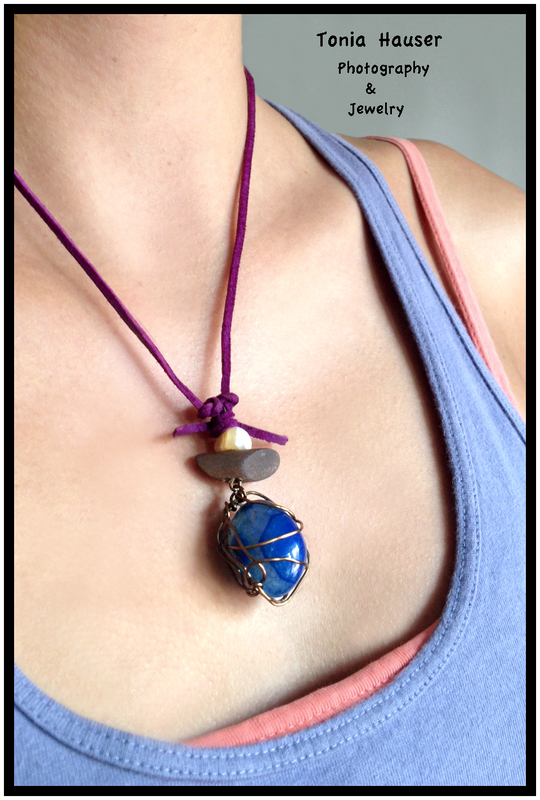 One-of-a-kind jewelry inspired by good vibes, color co-mingling, nature and cultures & styles from around the world. 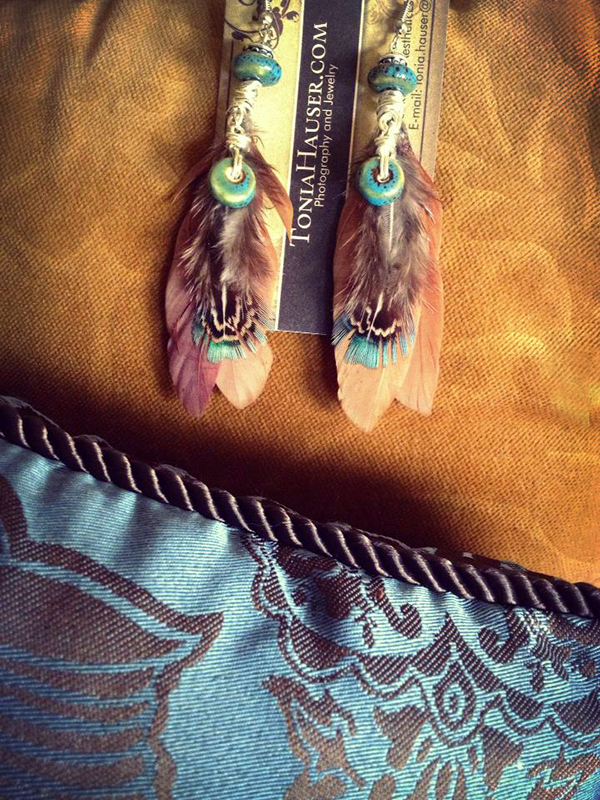 All pieces are designed and handcrafted by me, Tonia. From earthy to funky, I dabble in a variety of styles, making each piece entirely unique. I love implementing contrasting colors and natural elements. 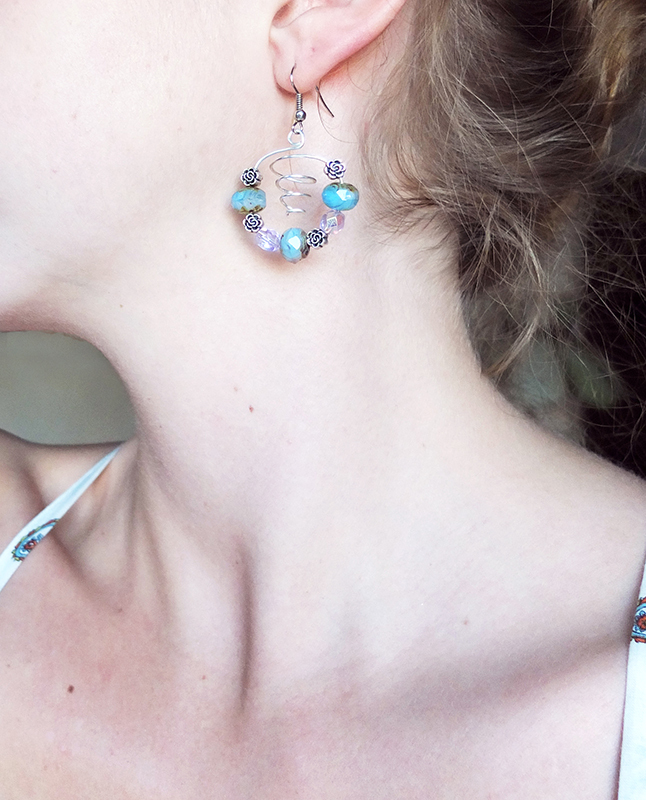 You may also notice my admiration for big and bold earrings. Scroll through the gallery below to view pieces currently available for purchase. Toward the bottom, a second gallery displays my sold items, gifted pieces and personal creations- all of which are no longer available. Interested in purchasing jewelry in the gallery below? Contact me and include the items' titles.. and we'll discuss payment options from there (: I can send an invoice to you via Paypal, or upload the item to my Etsy account- whichever is easiest for you! 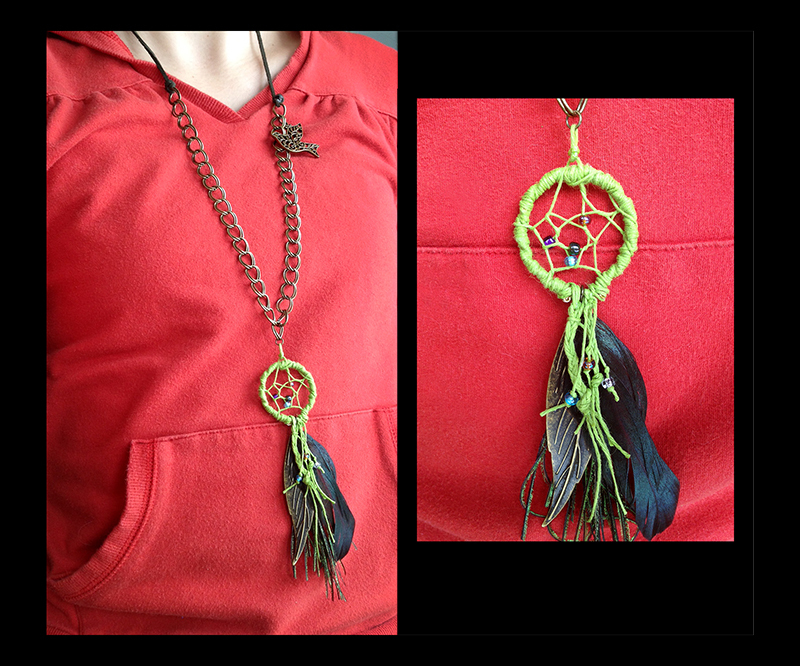 Hand-wrapped, blue hemp cording dreamcatchers. Intricate pewter leaves, glass beads. Hand-wrapped orange hemp cording dreamcatchers. 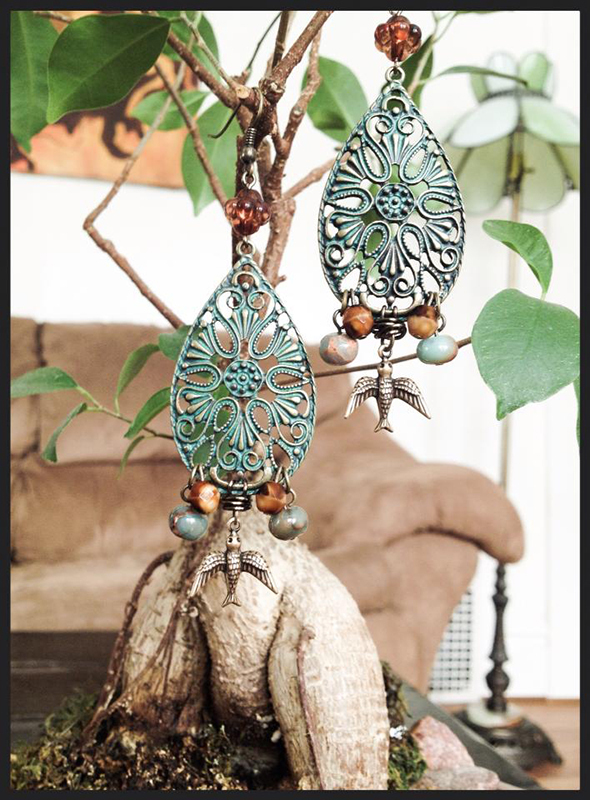 Intricate pewter leaves, antiqued silver birds and glass beads. Hand-shaped, hammered wire with uniquely marked polished stones. 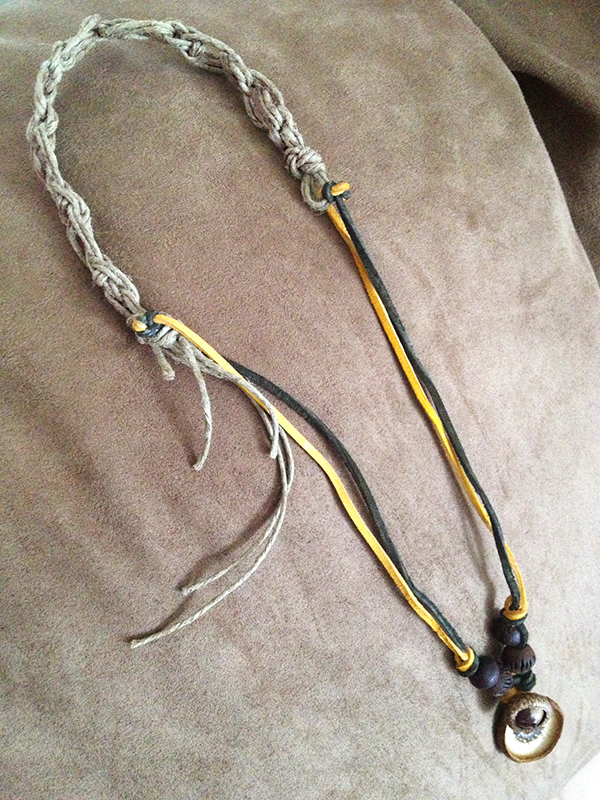 Long necklace on deerskin suede. Two coy fish carved into polished stone, wood beads. 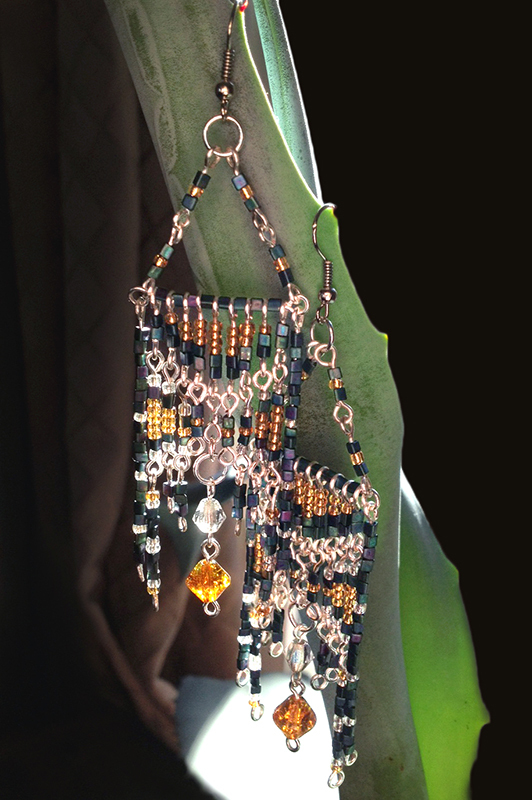 Consisting of over 50 handmade beaded links, these Egyptian-style dangles have glass, acrylic and amber beads. 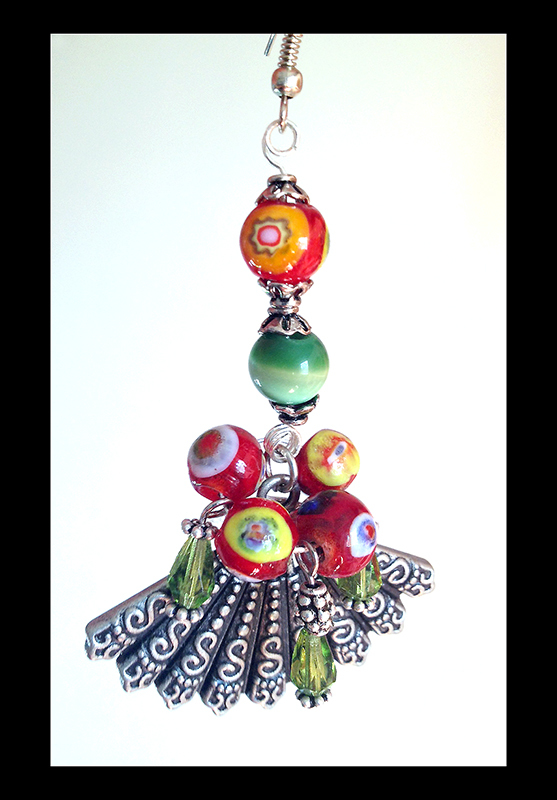 Glass, lampwork glass and acrylic beads, pewter, silver and antiqued silver accents, silver chain, detailed toggle clasp. 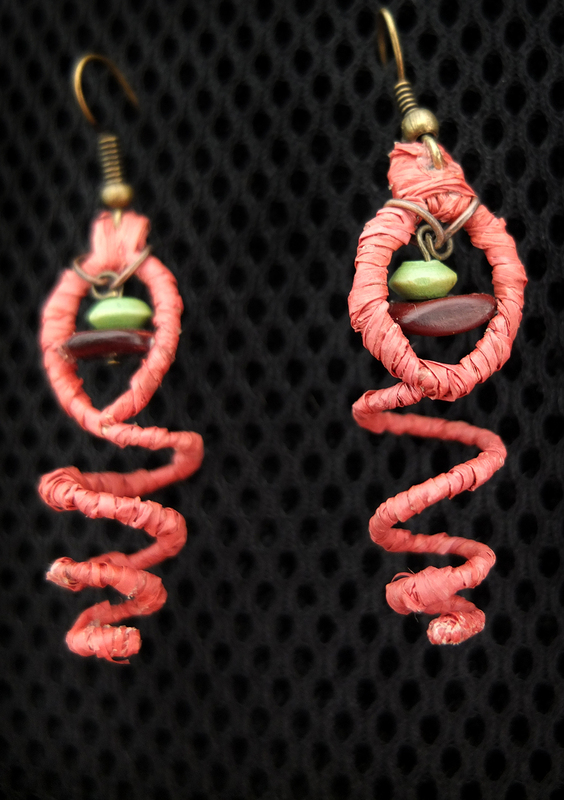 "Move with You" dangles with antique bronze, organically shaped, hammered wire pieces twirl around the earring's center. Acrylic beads and antiqued gold, oriental etched fans. Glass beads, hand-shaped hammered silver wire. Hand-shaped and hammered wire, pewter flowers and glass beads. 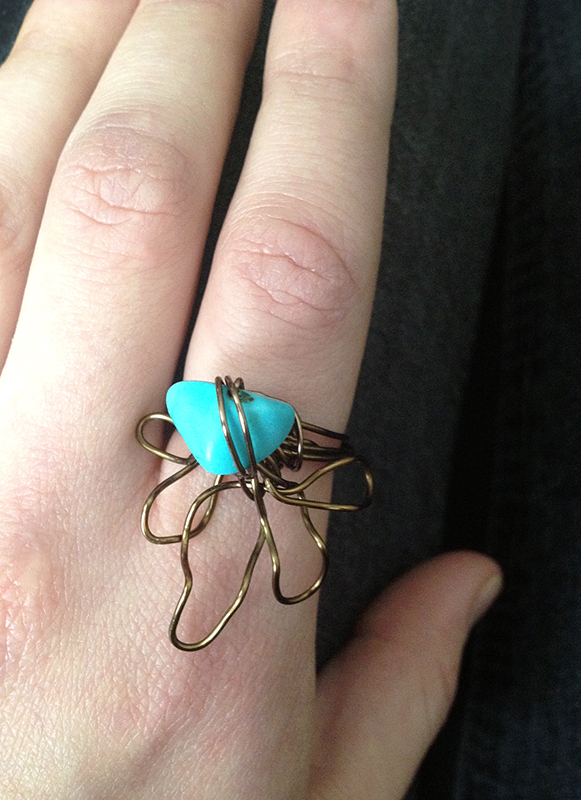 First Photo: Hand-shaped wire and glass beads. 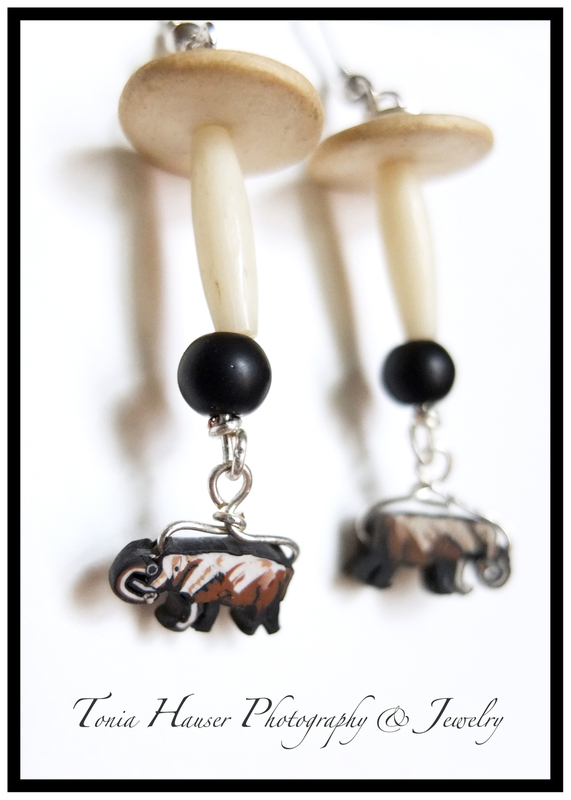 Second photo: one earring shown. Hoop within a hoop. Hand-shaped wire and glass beads. 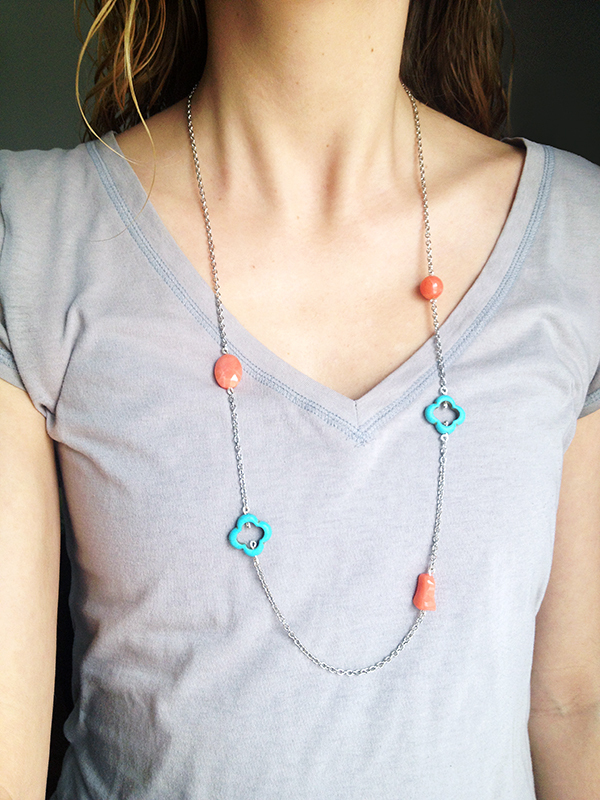 Silver chain and acrylic beads. 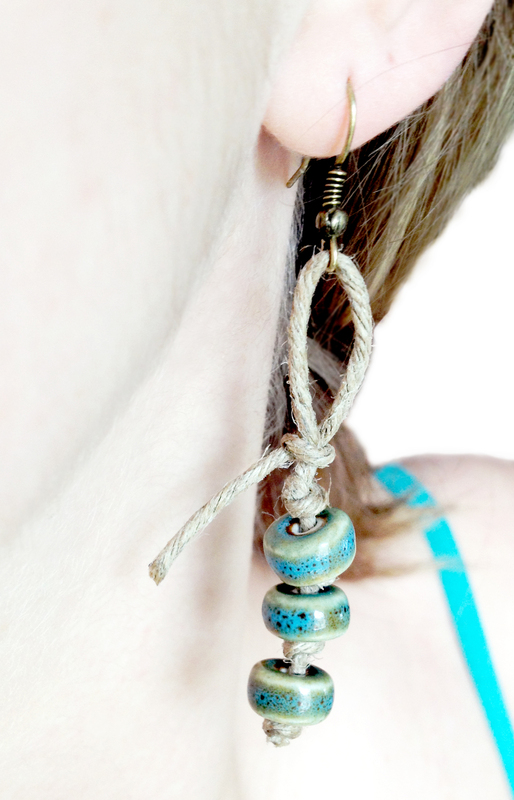 100% Natural hemp and painted ceramic beads. 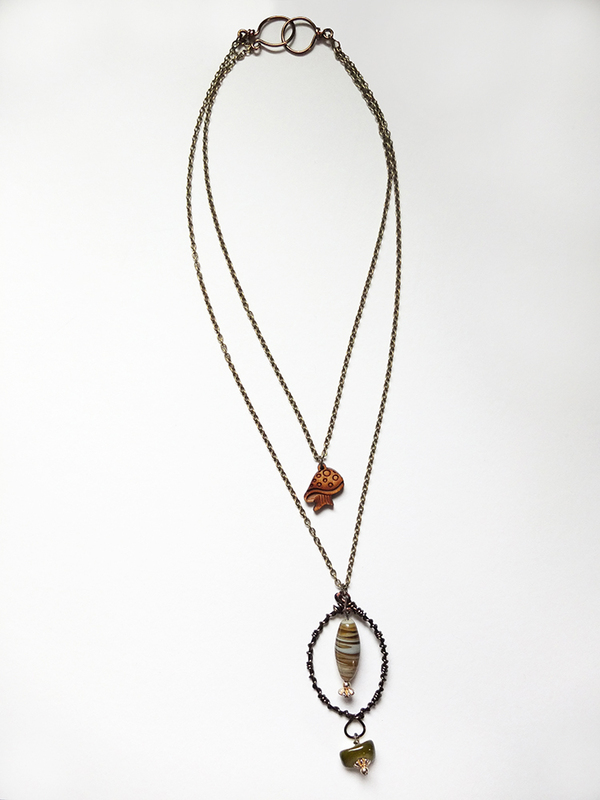 Intricately Beaded pendant, wire-wrapped stone, wood and etched bone beads on deerskin suede. Rare dark bone carved skull, faux bone spikes, wire-wrapped polished stone, pale blue ribbon, thin gold and antiqued bronze chains. 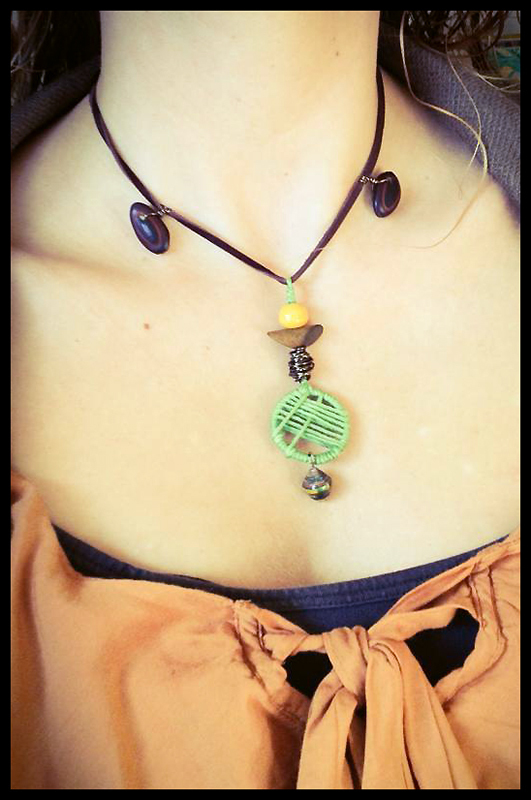 Macrame styled 100% natural hemp, dark olive and yellow suede and lacquered MICHIGAN acorns. Handmade, hammered hook-clasp- for a small wrist. 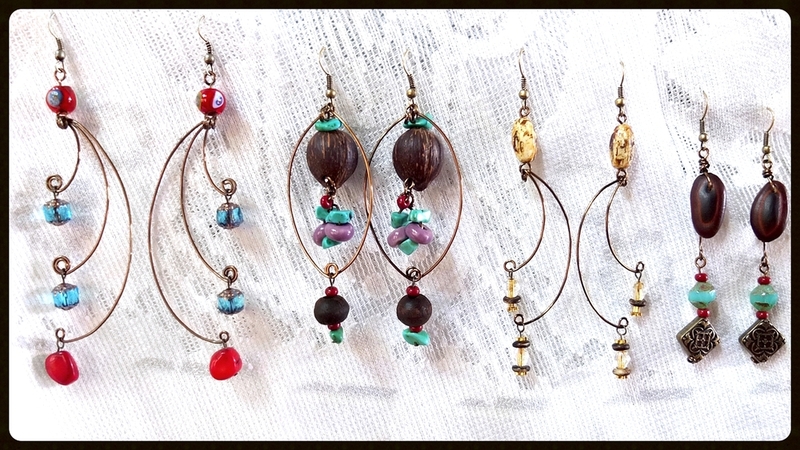 Shaped and Hammered wire, agate, glass, seashell disks and tiger eye beads. 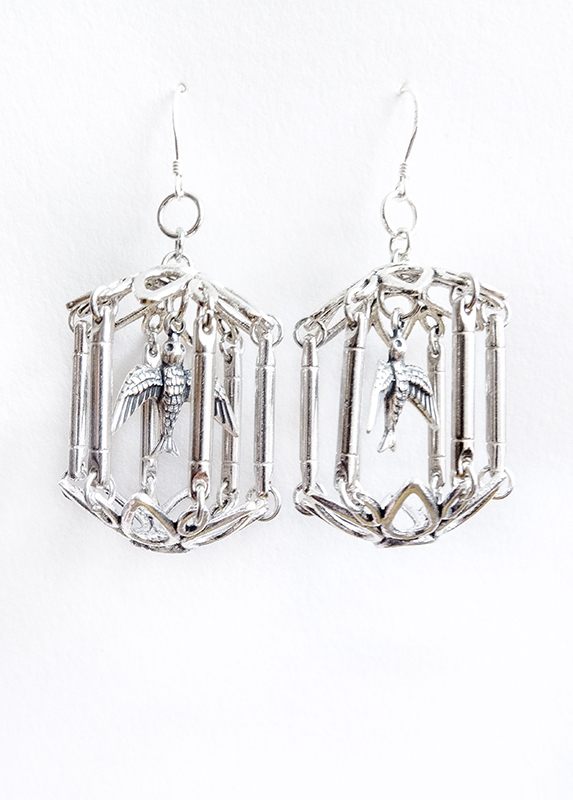 Hand crafted Birdcages with over 30 components, pewter soaring birds, multi-faceted cracked agate & pewter etched beads. 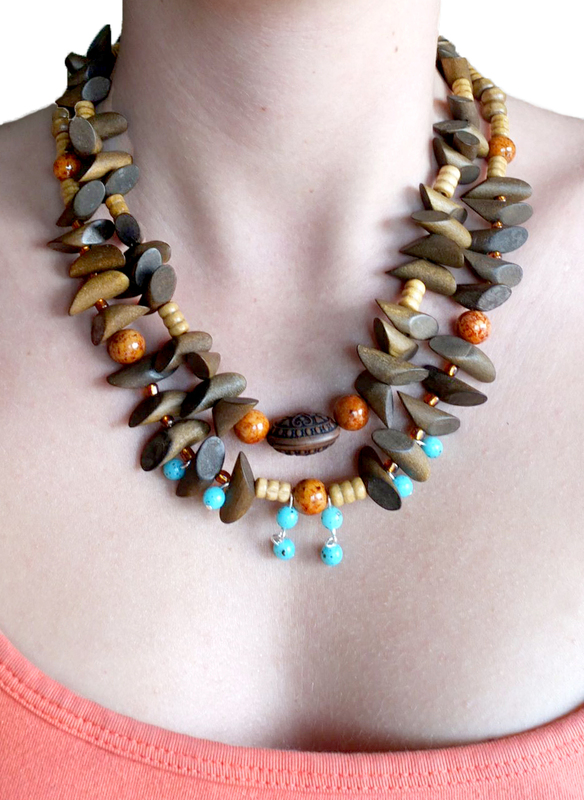 Lacquered MICHIGAN acorn, polished crystalized stone & wood beads on a beautiful silver chain. 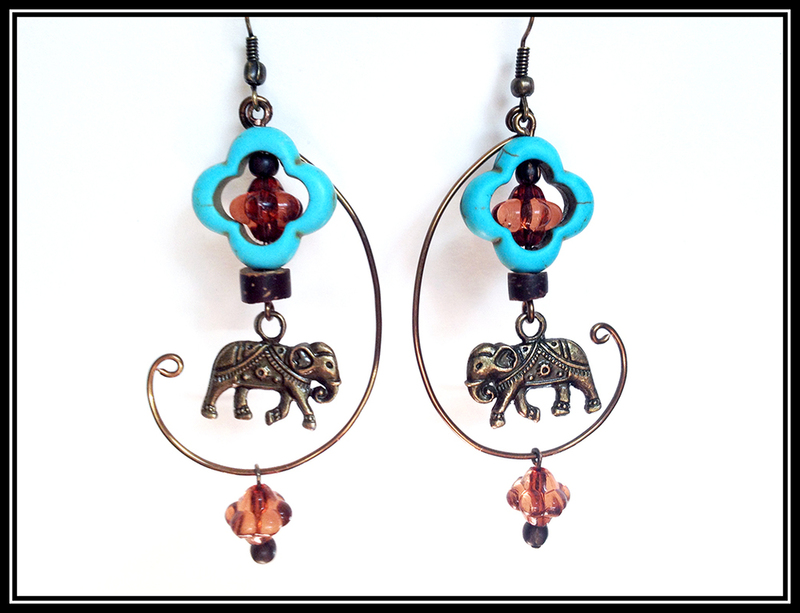 Amber, pewter owls and ornate charms, acrylic beads. Etched Bone and etched wood on green suede. Tie closure. Hand shaped, hammered wire intricately wrapped with Raffia Palm. Wood and painted watermelon seed-beads. Jewelry no longer available for purchase is shown within the gallery below. If you see an item/style you love... don't hesitate to contact me! List the admired item's number.. and request a custom order. Though I don't buy my beads in bulk, we can discuss what you like about it and I can do my best to recreate a similar piece for you. Custom orders can be placed for a nonrefundable $5/item fee, as I often have to shop for and purchase more supplies. An in-progress photo will be sent via e-mail to make sure I'm in line with what the client envisions. At this stage, you have a chance to voice your opinion and together, we'll come to an agreement of whether to continue, tweak, or scrap the custom order. **The $5 fee covers a small portion of the time and effort put forth while creating a custom piece.